Author: Hildegard Höftmann †, Irmtraud Herms, Karsten Legère. 12 pp. Roman, 663 pp. The basic vocabulary of the present dictionary is based on the correspondent edition of 1989 (VEB Enzyklopädie Leipzig, after that until 2005 Langenscheidt Munich). It has been revised with the objective of extending the lexis and its use in phrases, thereby taking into account changes as well as eliminating now rarely or no longer used lexemes. 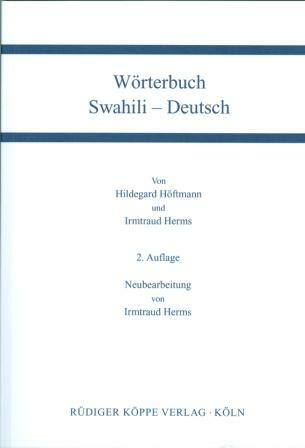 The present dictionary is based upon a vocabulary worked out by the Enzyklopädie Publishing House Leipzig / Germany. It contains about 15,000 keywords from the domains every day life, politics, economy, culture, and sports as well as a plenitude of phrases and idiomatic proverbs. This vocabulary was supplemented by terms which follow form the natural environmental conditions of the target language.